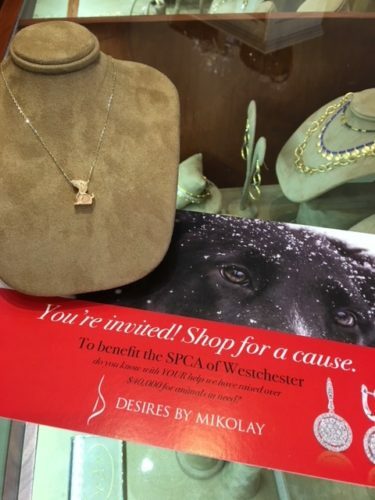 Save the Date for a ‘Charity Shopping Soirée’ on December 8, 5-9 p.m.
There’s probably not a resident in Chappaqua who doesn’t appreciate the Mikolays’ passionate support for the SPCA of Westchester and its charges; their store has hosted many fundraisers in support of rescues. 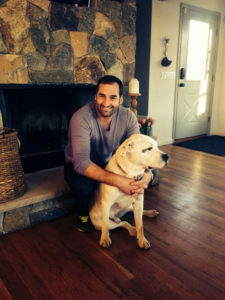 To date, the Mikolays note that with the help of shoppers, they have raised over $40,000 for animals in need. 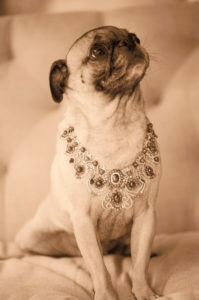 Shoppers can once again enjoy a Holiday Sale with 10 percent of the night’s proceeds earmarked for the SPCA; Desires emphasizes that each item selected is a “Gift with Impact.” “Shelter animals have a particularly tough time during the Winter months,” the flyer for the event states. “Let’s show them all the love and support we can!